The whole chick about 2 kilograms should be marinated for one night with teriyaki Sauce, fully immersed in flavor, then slowly be roasted for one and a half hour. Now here comes the annual Christams chicken dinner. 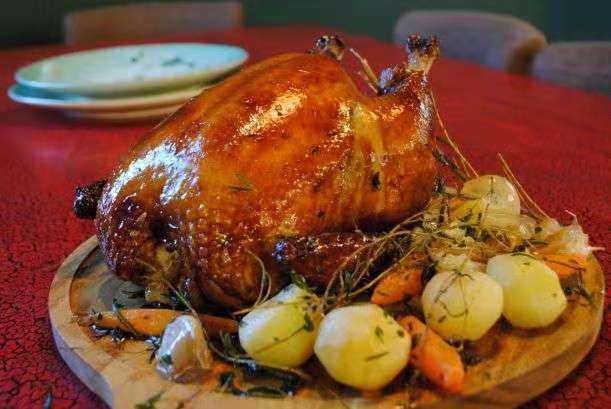 How wonderful the chicken with concentrated texture and delicious roasted vegetables! Gangang deliver delicious food to your home! We accept orders by e-mail or Wechat.